World Schools 2013 – meet the team! I started playing chess competitively when I was 12, and have enjoyed playing ever since. I currently play for Newton Abbot and Devon, and am looking forward to playing tough, international opposition – as well as the chance to represent England! I attend Torquay Boys’ Grammar School. I was introduced to chess by my dad when I was 7 and soon started beating him. I then joined Harpenden Junior Chess Club which was set up and run by Jon Freeman. Soon after, I began to play tournaments and qualified for London Juniors (U8). As I improved, I started to play for Hertfordshire Juniors. Now, I am coached by IM Lorin D’Costa and helped by my parents. My main achievements include representing England U12s with the NCJS in Prague in June last year. I also won the national U11 Grand Prix, and was part of the Herts team who were crowned U18 champions last year. As well as playing chess, I also help to coach beginners at Chess Masters in Harpenden. I also enjoy karate, in which I am a black belt, swimming and playing jazz piano. I play as much sport as I can, particularly football and cricket. I would to thank my parents, Asha (my sister), the rest of my very supportive family, IM Lorin D’Costa, Jon Freeman, all at NJCS, Mr. Henshall (my head teacher) and all my friends for helping and supporting me. I attend Roundwood Park School. I started playing chess at school aged 6, when I moved from London to Sussex. I then joined Sussex Junior Chess and was part of their team when we won the U12 and U14 national titles. I’ve also won their Grand Prix tournament for the past five years. 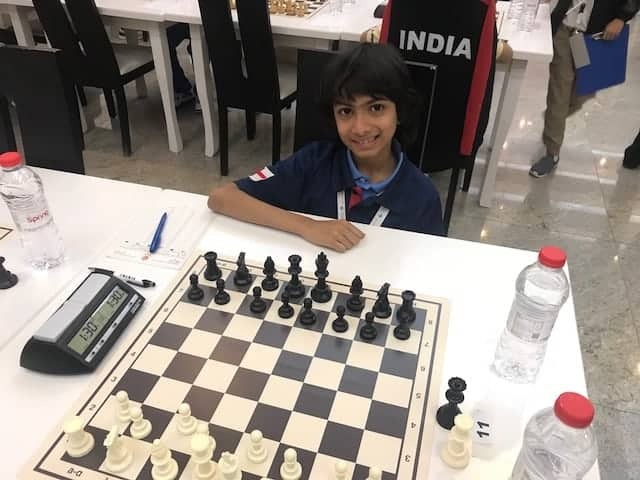 I qualified for the National Junior Squad aged 10 and have really enjoyed playing chess abroad in Holland, France, Belgium and the Czech Republic. I am coached by Jonathan Tuck and I have just started playing for Crowborough chess club and coaching other Sussex juniors. I also love football and playing the drums and I’m looking forward to going to Greece. I attend Downlands Community School. Akito was born in the USA in 1999. 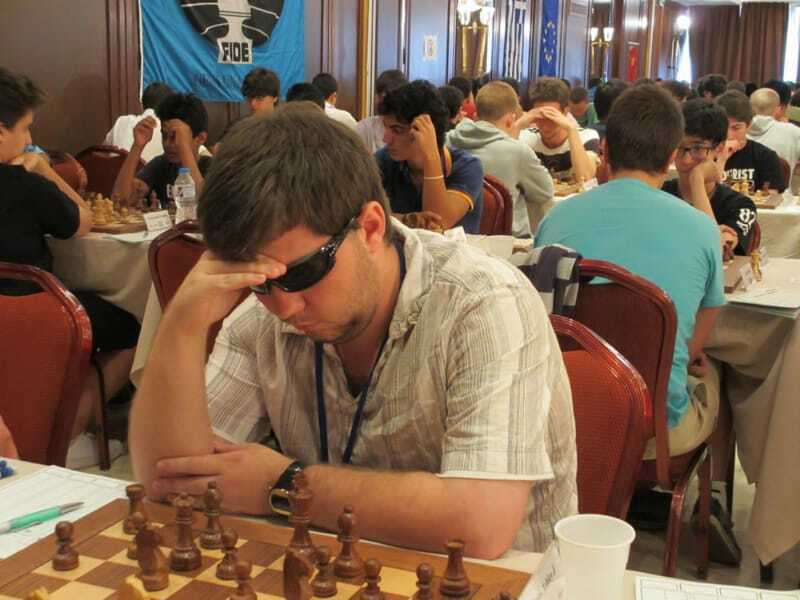 He moved to Cambridge in 2004 and started playing chess at Cambridge Junior Chess and Go Club in 2007. Akito is currently playing chess in Cambridge City Chess Club and Tough Chess, which is a junior chess club organized by Nick Jackson. He is looking forward to playing chess with strong players from other countries. Akito attends Parkside Federation Coleridge Secondary School. Becky started playing chess at the age of 9 when she was invited to join the 3Cs chess club. She now plays regularly for 3Cs chess club in the Manchester League. She has also taken part in numerous rapidplay and congress tournaments. In 2012, Becky won top girl in the challengers category of the UK Chess Challenge Terafinal. She would like to thank, her coach, David Hardy and Stephen Rigby of the 3Cs chess club for their support and encouragement. Becky attends The Blue Coat School in Lancashire. Zoe first played chess with her brother and sister at the age of 3 while they were playing for Somerset U9s. She quickly grasped the basics and won her first Megafinal at the age of 5 and has continued this every year since, losing only two games in eight years. The gigafinals have not been so kind and she has qualified for the Terafinal only twice. Zoe did not get the chance to play for Somerset U9s and went straight into the U11s, eventually playing on board 3. In 2009 she travelled to York and came second in the British Girls U11 tournament. She also plays for Clevedon in the Bristol League in Div 2 and, so far this season, has won all her games. She is really looking forward to this year’s tournament in Greece. When not playing chess, Zoe enjoys ski-ing, travel, singing. Her passion has also been cricket and she played in the boy’s U15 team until last year. She can’t wait for the Ashes to start and has tickets for the Oval. Izzie only really started chess in Year 6 through the UK Chess Challenge, and got through as far as the Gigafinal. Left with no chance to play chess at secondary school she joined Witney Chess Club the following year. She was Oxfordshire Suprema in 2011 and 2012 and qualified for the Terafinal in 2011 (then was unable to attend.) Izzie prefers standard to rapid chess, and plays in the local league. Playing for England is a big challenge, but a great opportunity to learn. I first got into chess when I was three when my Dad taught me the moves. When I was seven I joined my school chess club and was the only girl for some time. I started to play competitively in the UK Chess challenge when I was seven and have qualified for the Gigafinal each year ever since, although I haven’t always been able to play. I have qualified for the Terafinal (or the challengers) each year that I have played. I play for a local team, Wotton Hall, where I play against adults. 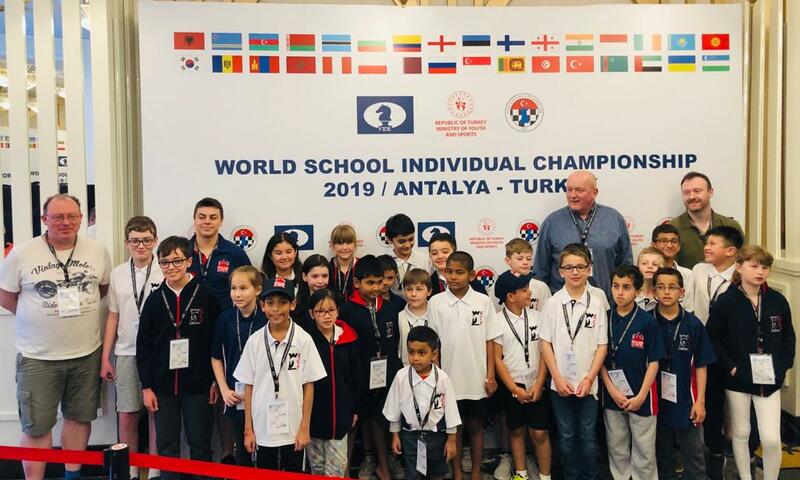 I was part of the England Team at the World Schools’ tournament in Romania last year and am really looking forward to this year’s tournament in Greece. When I’m not playing chess, I enjoy playing hockey and other sports. I would like to say a big ‘thank you’ to the following people for their support and encouragement: Mr Kevin Thomas, my school chess teacher; Mr MacNaughton, my chess playing headmaster; John Jones, from Wootton Hall club and Lawrence Cooper, my current coach. I attend King’s School in Gloucester. Theo started playing chess at the age of 6 and immediately fell in love with the game. He won his first trophy when he was 7 and finished runner up in the British U8 Championships in 2009. He made his debut for the Cornwall senior team when he was 10, the youngest player to do so since GM Michael Adams, more than 30 years ago. He qualified for the National Chess Junior Squad whilst an U10 which has enabled him to play in Holland, the Czech Republic and Belgium. He has also represented the ECF in Austria and captained the England U12 team to victory in the Stokes Cup. In 2012 he travelled to Guernsey with GM Nick Pert and, despite being the youngest and lowest ranked player in the Open, he scored 3.5/7 and won the “Most Brilliant Game” trophy for his last round win. Theo would like to thank his Mum and Dad for travelling the length and breadth of the country and Dr. Dave Regis, his coach, for his constant encouragement and enthusiasm. Joseph learned the basic rules of chess from his grandfather Terry and got seriously interested in chess on moving schools to Newcastle Royal Grammar School in Year 3, where he came under the inspirational influence of his coach, Paul Bielby. Joseph is very aware that without Paul’s guidance and his grandfather’s influence, he wouldn’t have gotten anywhere with his chess, particularly since his parents don’t play! Joseph loves many other sports and athletics, especially football and high jump. Callum began playing chess just before his 9th birthday, inspired by his grandad, who was a Junior British Champion in the fifties. 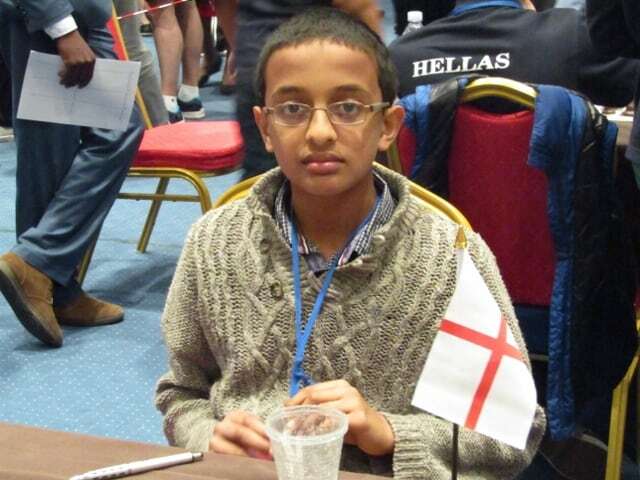 He plays for Sussex Junior Chess, the Brighton and Hove Chess Club and he is a member of the National Junior Squad. Football is Callum’s other passion – he is a goalie for his school and Brighton’s Seagulls U12 team. Callum loves the social aspect of chess, having made friends from around the country, and he always enjoys visiting new places. Callum attends Dorothy Stringer School. I am 11 years old and live in Oxfordshire. My Dad taught me to play chess when I was about 8 and I’ve been going to Witney Chess Club for a few years now. I’ve had recent successes in the UK chess challenge Megafinal and the Silver Plate South 2012. I am really enjoying chess at the moment and looking forward to playing in the WSCC. I am a loyal supporter of Sunderland AFC and I enjoy badminton, table tennis and maths. I attend Bartholomew School in Eynsham. Dion is 12 years old, and he learned to play chess when he was 7, from the nearby Redbridge Chess Academy. After two years, he won the Essex Under 10 Championship and soon became Board 1 both for his school and Essex U11 chess teams. He won the 2012 UK Chess Challenge Southern Gigafinal U11 Ultimo. 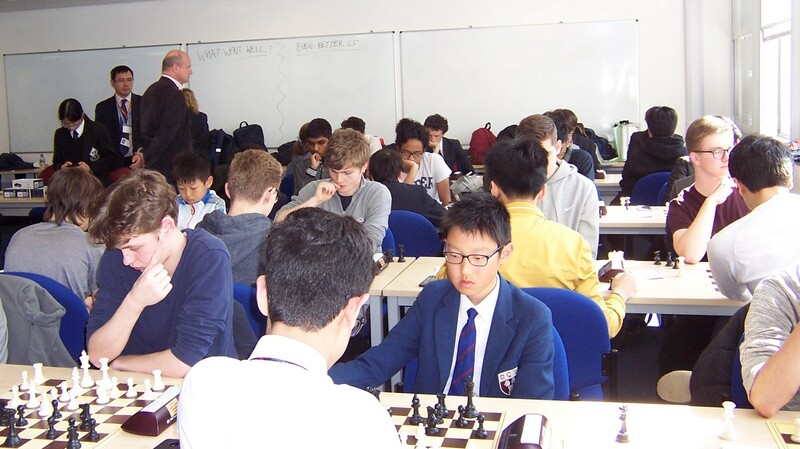 Dion would like to thank Westminster Under School, Ilford Chess Club, RCA and Ron Franklin, Ivor Somers, Pascal Evans, Justin Baptie, Yangfan Zhou and Mark Hebden for their kind help and support. Josh was taught to play chess by his older brother Sam when he was 5 years old. He discovered Sussex Junior Chess when he was seven years old and played regularly ever since in their excellent Grand Prix series and in their strong county teams. 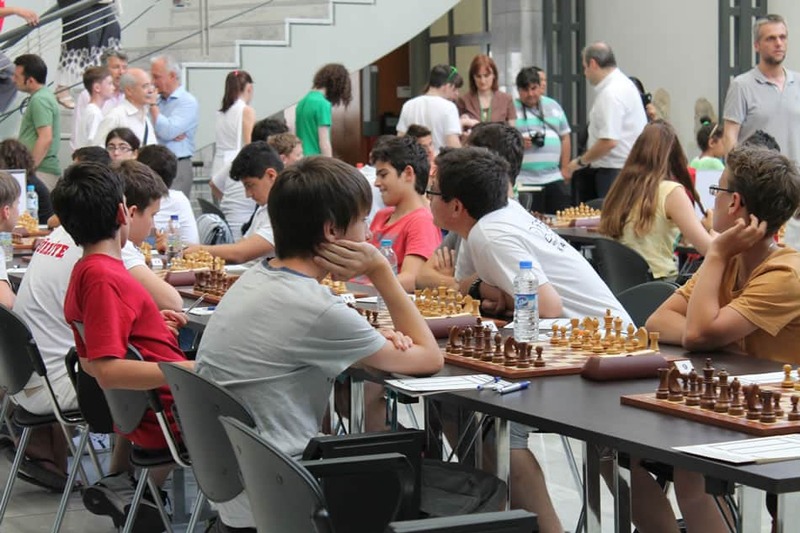 He qualified for the National Chess Junior Squad at the Under 11 trial in 2011 and has since travelled widely competing in Gibraltar (twice), the Czech Republic, Scotland, Wales, Flanders, and Holland and the WYCC in Slovenia. Highlights include coming 2nd in the British U11 in 2011; 2nd in the British U12 in 2012; U13 Champion in the 2013 English Youth Chess Championship Grand Prix; 1st= in the 2013 U14 National Junior Squad Championship. Josh is the current Sussex Prep School’s individual champion in 2011, 2012 and 2013. Josh would like to thank everyone who has supported and encouraged him with chess, in particular his coach Mr. Jonathan Tuck, Mr. Peter Purland, The Graham Family, Sussex Junior Chess, Worth School and his older brother Sam who enabled him to discover his love of chess. Josh is a pupil at Worth School in Sussex. Ananth has been playing chess since he was 7 years of age. 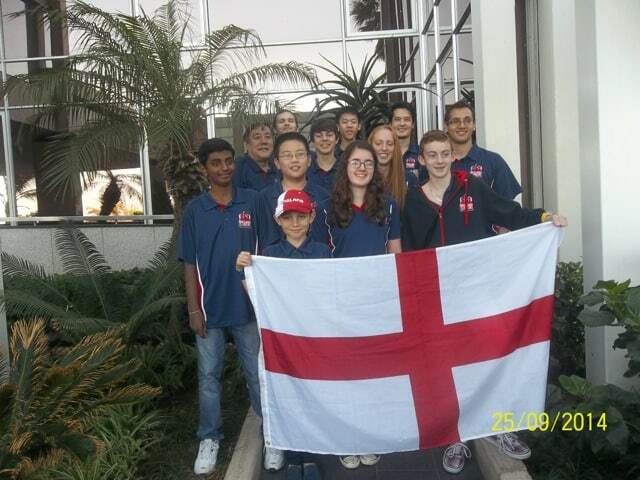 He has participated in many tournments and he was in the England team at the World Schools Championship in Romania 2012. Ananth attends Southborough High School. I was taught to play chess by my dad at the age of five after being given a chess set for my birthday. Since then I have become addicted to the game and I’m looking forward to some competitive chess in Greece. I attend Thames Ditton Junior School. Karam attends Nottingham High School. James is 11 years old and the eldest of three brothers representing England. He started playing chess when he was 8 years old after being given a chess set for Christmas. James plays for the Ashtead, Ealing Juniors, Surrey and Wey Valley teams. He is an experienced competitor in numerous junior chess tournaments, including the Delancey UK Schools Chess Challenge, and has received many trophies, medals and rosettes. James takes part in many other sporting activities including badminton and tennis and is a keen saxophone player. He is a member of Ashtead Junior Chess Club. James thanks all those who have supported and encouraged him in his chess including Pat Armstrong, IM Mike Basman, Mike Bolan, IM Graeme Buckley, Owen Phillips, Sainbayar Tserendorj and Kathy Vannucci. James attends Downsend School in Leatherhead. Harry started playing chess at the age of 6 and quickly became hooked, winning the London Junior U8 title just a year later. He attends Yateley Manor school, where he is lucky enough to have Andrew Martin as coach. Qualifying for the England Junior Squad just two weeks before his tenth birthday, Harry has had the opportunity to travel to Belgium and the Czech Republic, but this is his first major international event. Harry plays for Hampshire, Yateley Manor school and the Fleet & Farnborough Chess Club. He also enjoys playing the piano, snooker, table tennis and reading. Harry attends Yateley Manor School. Liam began playing chess at his school’s chess club when he was 8 years old. His first taste of competition was the UK Chess Challenge at age 9, where he came 2nd at the Southern Gigafinal and qualified for the Terafinal Challengers. Liam plays for Barnet Knights Chess Club and the Middlesex U14 team. He would like to thank his coach Rob Willmoth. When he is not playing chess Liam enjoys fencing, piano, skiing and rock climbing. Richard started to play chess when he was nine. Five months afterwards he was selected by the Berkshire Junior Chess Team and in 2011 he qualified for the England U11 Squad. Richard is fortunate to have received a lot of support and guidance from many people, especially those at Camberley Chess club. Richard also loves playing badminton and started representing Berkshire when he was 9 years old. 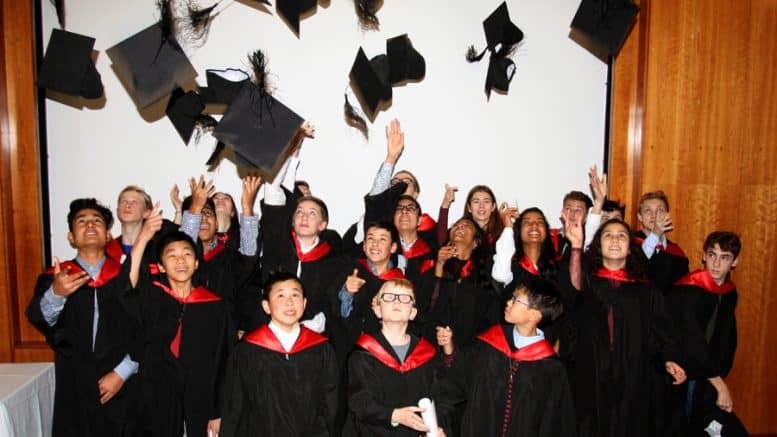 Yang-Jian attends the Whitgift School, South Croydon. He’d like to thank the Whitgift School. Anna started playing and loving chess when she was 6. She has played for her U11 county team in Surrey In 2010 and 2011 Surrey were the national champions. In 2011 Anna won the Southern of England national girls qualifier and finished first jointly in the U10 national girls championships. 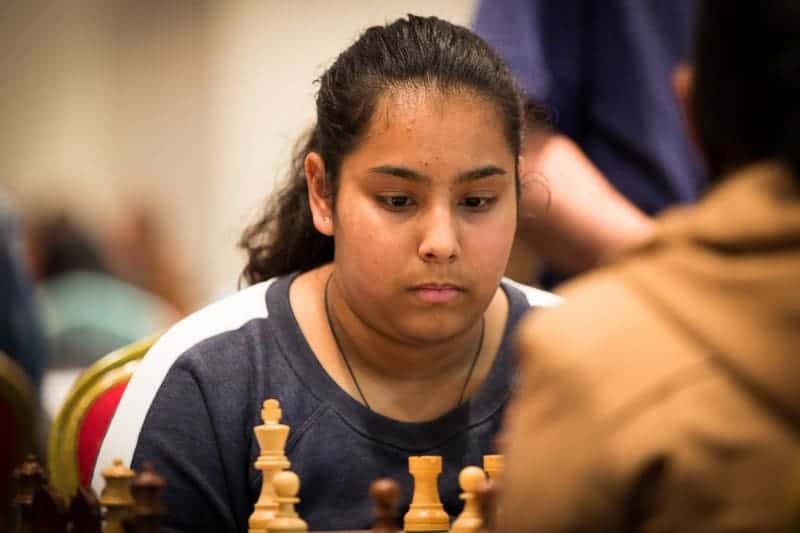 She also won leading girl at the prestigious London Junior Chess Championship in December 2010 and at the end of 2011 won the U12 Surrey London Junior qualifier when she was still 10. In 2012, Anna won the u11 UK and Ireland girls championships. She also won the All Girls Surrey championships. Anna represented England for the first time in early 2012 when she was selected to play in the World Schools championships in Romania. In 2013 Anna came 4th in the Norwegian Girls Open and narrowly missed out on 2nd place due to progessives . She has also achieved 3rd place twice in the last 2 international E2E4 Fide congresses. Anna attends Guildford High School. I am 12 years old, and I began to really get into chess when I qualified for the UK Chess Challenge in Year 3. In 2011 I just missed out on the Terafinal, even though I came 3rd and the same happened in the 2012 Gigafinal. However I won the U13 girls Silver Plate South. I am really excited and enthusiastic about going to Greece I am glad I was given a great opportunity. I would like to thank Mrs Lloyd who gave me a great start in chess as well as Witney Chess Club. My other hobbies are football and netball. I go to Bartholomew School in Oxfordshire. I was taught to play chess by my dad at the age of 5 and I then joined the Harpenden Junior Chess Club where Jon Freeman helped me to improve. Soon I began to play in tournaments and for the Hertfordshire county team. 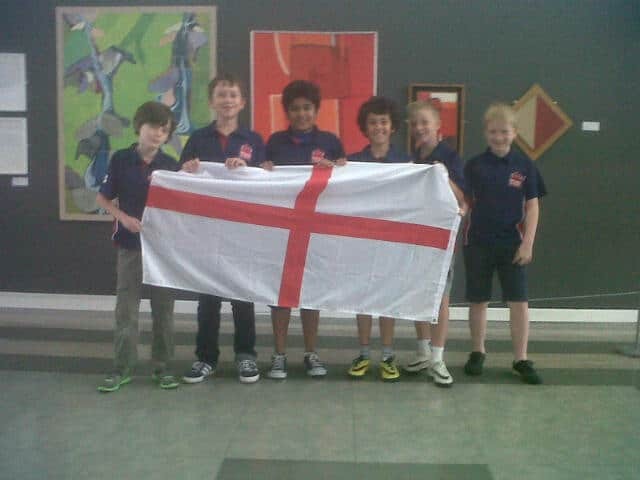 I have previously represented England at the European Youth Chess Championships 2011 in Bulgaria which helped me develop my chess further. I am coached by IM Lorin D’Costa. As well as helping coach beginners at Chess Masters in Harpenden. I enjoy playing the piano, training and teaching Karate (as I am a black belt) and doing jigsaw puzzles. I would like to thank my parents, Taran (my brother), IM Lorin D’Costa, Jon Freeman, and other people who have helped me to develop as a chess player. Harrison Willmoth started chess when he was 7 years old. He is a member of Barnet Knights Chess Club and Hendon Chess Club. In his short chess career Harrison has won the London Junior U9 Minor title in 2011 and the UK Terafinal U9 in 2012 as well as many London Junior qualifying events. Harrison can tell you the name of every Lego Ninja character as well as their full life story. Harrison attends Dollis Junior School. I was taught chess at the age of 4 mainly to keep me away from my brothers at homework time. Since then I have never looked back and developed a strong love for the game. I won my first tournament at the age of 6 which was the Christopher Stone Mermorial Trophy. The same year I won the London Finals Under 7. Other achievements include winning the British Rapidplay Under 10 and helping Barnet win the Inter-area Under 9 Championship. My other interests include tennis and the guitar. I would like to thank my coaches BM Robert Willmoth, IM Ravi Kumar and FM Peter Poobalasingam. I would also like to thank Angela Eaton, Toni Niccoli, Sabrina Chevannes, Dominic Peraz, Adam Raoof, Barnet Knights Chess Club, Hendon Chess Club, St Josephs School and all my family including my mum, dad, brothers and grandmother Ann Fletcher. I attend St Josephs School. James lives in Newcastle upon Tyne. It was at school that his love of chess developed. He now plays for school, club (Jesmond Chess Club) and county (Northumberland). 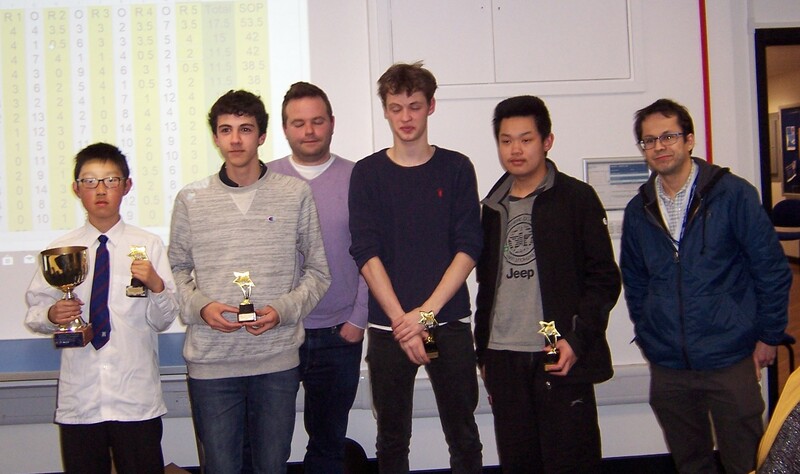 James has competed in the UK Chess Challenge for the last 2 years, on both occasions winning the title of Ultimo. He is keen to return to the World Schools Championship after being part of the England team that competed in Romania in 2012. 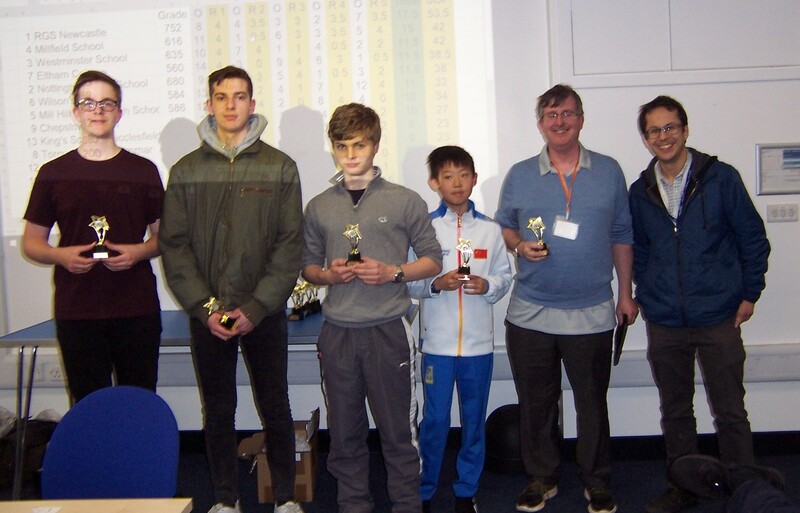 James has made a successful start to 2013, achieving wins at several chess congresses. His objective is to continue to work hard, improve all areas of his game and, most importantly, to continue to enjoy playing chess. Outside of chess, James likes to compete in a wide range of sports including football, cricket and rugby. Football is his favourite where he loves to play in central midfield for Ponteland United. James attends the Royal Grammar School (RGS) in Newcastle. Omeet started to play chess at the age of six and it soon became an obsession! He has won a number of tournaments including the South of England. He is coached by Andrew Martin IM. 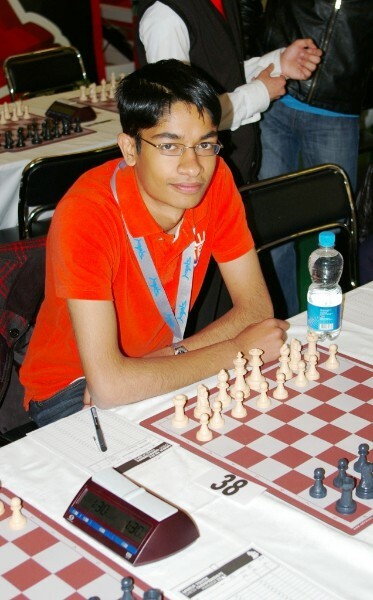 Omeet regularly plays for the school team, Hampshire and Sandhurst Chess Club. He has represented England South West against Wales and also represented Rushmoor Borough in a tournament in Germany. In his (limited) spare time he enjoys all sport, reading and is an avid Manchester United fan. Omeet would like to thank Sandhurst Chess Club, Yateley Manor School, Andrew Martin and of course his family for their endless support. Omeet attends Yateley Manor School. Alex is 9 years old and the middle of three brothers representing England. He started playing chess against his brother James when he was 6 years old. He has competed in many chess tournaments since that time gaining many trophies, medals and rosettes. His successes include winning the U11 title and £1,000 at the Terafinal of the Delancey UK Schools Chess Challenge in 2012 when he was only 8 years old by scoring 4 out of 6 against opponents with an average age of 15 years old. Alex plays for the Ashtead, CCF, Ealing Juniors, Surrey and Wey Valley teams. He is a keen tennis player, takes part in many other sporting activities and plays the piano. He is a member of Ashtead Junior Chess Club. Alex thanks all those who have supported and encouraged him in his chess including Pat Armstrong, IM Mike Basman, Mike Bolan, IM and WGM Susan Lalic, Owen Phillips, Sainbayar Tserendorj, Daniel Gliddon and Kathy Vannucci. David learnt to play chess at the age of 6, and has been competing regularly since his first tournament at 7. He has been playing in Barnet Knights chess club since he started playing chess. He also played board one for the Barnet Junior U9 team when they win the English Primary schools trophy in 2012. David won U10 major in the London Junior Chess Championship in December 2012. David attends the Aylward School in Harrow and other interest includes playing the clarinet in their orchestra. He also represents Elm Tennis club in the U10 team. David would like to thank Barnet Knights chess club, Aylward School and Raymond Cannon for all their support. He is looking forward to competing at the World School Chess Championships 2013. Samuel first learnt the rules of chess when he was four and has been playing ever since. He was fortunate to receive a strong chess foundation by joining Mike Basman’s ‘tough chess’ club in Surrey. Samuel lives in central London where he also enjoys football and bridge. Samuel attends Sussex House School. Meytal was taught to play chess by her grandmother when she was nearly 7. She soon competed in her first tournament where she lost a tooth, but won first prize. She has since lost several more teeth and accumulated a large collection of trophies. She also loves drawing, dancing and reading. She’d like to thank Brookland’s enthusiastic coach John Fleetwood, who has nurtured generations of great players and brought the school to the summit of the English Junior Chess, and Sabrina Chevannes. Meytal is a pupil at Brookland Junior School, attends its vibrant chess club and plays in its chess team. I am nine years old and I live in London. My dad taught me to play chess and I have been playing competitively for eighteen months. I have won lots of medals and trophies during that time and I am the current Middlesex Under 10 Girls Champion. I would like to thank my dad Max, the coaches at Barnet Knights, John Paul Wallace and everyone at Barnet Junior Chess for helping me to progress. When I’m not playing chess I enjoy swimming, skiing and reading. Ken started playing chess just over a year ago and had won his first junior tournament just 2 months later. He loves going to tournaments and making new friends, finding team events especially rewarding. He also likes karate, piano, snorkelling and his cat Kimba! He lives in Wells, Somerset. Ken would like to thank Chris Strong for all his excellent coaching and support. Ken attends Stoberry Park School. Benjamin was 4 years old when his parents showed him how to play chess. He qualified for his first (of 3) Gigafinals when he was 6, has been U7 and U8 Supremo, and played in the Terafinal Challengers twice, winning an U9 Prize in 2012. He has been West of England U8 and U9 Champion. Outside of chess, his favourite subjects at school are science and writing stories. Other hobbies include running, gymnastics and anything at all to do with Marvel Avengers. Benjamin is in Year 4 at Liden Primary School. Benjamin would like to thank his chess coaches: dad (Tim), Peter Richmond, and our wonderful friend Andrew Law who has helped him love the game as much as he did. Benjamin attends Liden Primary School. Aditya has been playing chess for last three years and has already won the British Under 8 championship twice and has qualified on all the three occasions for the UK Chess Challenge Terafinal. His first international exposure was last year when he participated in World Youth and European Youth Under 8 Championship. He missed the top three position on both occasion by half a point and was joint 4th and ranked 8th in world. Some consolation was getting a prize from legendary Grandmaster Gary Kasparov for his performance in WYCC 2012, where he won a prize for England. Aditya learnt chess at Ilford Chess Club and RCA. He would like to thank IM Lorin D’Costa, IM Richard Pert, GM Stuart Conquest, Dave Hawkins, Ivor Smith, Ian Reynolds, Anthony Mathurin and Ron Franklin for their coaching, guidance and support. He knows lady luck will eventually come his way and he just needs to keep on working hard. Aditya studies in Cranbrook Primary School. 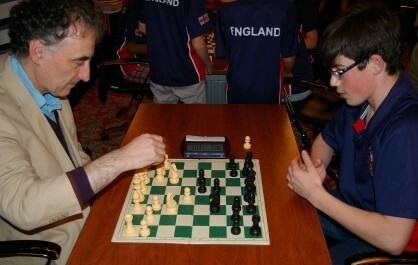 Candidate Master Joshua Altman has been playing internationally for England since the age of 7. 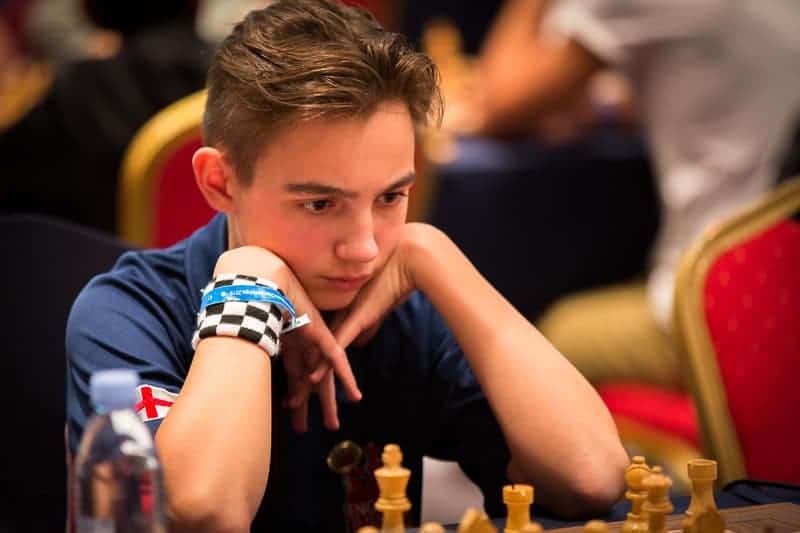 He is the youngest titled player in the history of Britain, having earned his CM prefix along with a Bronze medal at the age of 8 in the 2012 European Youth Championships. Fearless, Joshua blazed on to topple GM Luke McShane and London Mayor Boris Johnson in “not-so-friendly” games! A tenacious wildcard known more for his deadpan cool style than for his patience (and with little to lose over such a short career), Joshua is shown here backstage at the 2012 London Grand Prix trying to wrest the newly-minted, brilliant Pentagram-designed World Chess medal from Grand Prix winner GM Veselin Topalov of Bulgaria. Play on … a few more years, Joshua! Joshua attends Arnold House School. Tristian started to play chess at the age of 5, after asking his dad to show him some moves. After 3 months he went on to play competitively and has since been very keen to improve his game. He won the UKCC U7 Ultimo the following year and is looking forward to exploring further challenges in chess. He likes sports, including football and badminton. He also trains and competes in Tae Kwon-Do. He plays the piano for relaxation. Tristian would like to thank Cambridge Chess & Go Club, Nicholas Jackson and V Ravikumar for their support and encouragement. Tristian attends Waterbeach Community Primary School in Cambridge. William is 7 years old and the youngest of three brothers representing England. He started playing chess against his brothers Alex and James when he was just 4 years old. Despite his young age, he has competed in almost as many chess tournaments as his older brothers and has achieved many successes. He plays for the Ealing Juniors, Surrey and Wey Valley teams. William has a keen sense of humour, loves tennis and football, and in his spare time plays the piano. He is a member of Ashtead Junior Chess Club. William thanks all those who have supported and encouraged him in his chess including Pat Armstrong, IM Mike Basman, Mike Bolan, Peter Lalic, Owen Phillips, Sainbayar Tserendorj and Kathy Vannucci. I am 7 years old and I learnt chess at the age of 4 and started playing in tournaments when I was 5 yrs old. In addition to chess, I like diving, ballroom dancing, singing and piano, and I am in the swimming squad at my school. I would like to say thank you to my chess club both in school and Coulsdon Chess Club, and all my teachers and coaches for supporting me. I am in Year 2 at Cumnor House School in South Croydon. Chess has played a special part of my life for the last two years. I enjoy the challenge in tournaments and making new friends. I also enjoy swimming, tennis and playing the piano. I attend Banstead Community Junior School. Elizabeth is in the Top 2 Rapid Under 8 girls in the UK. She learnt chess when she was 7 at the school chess club. She won the Megafinal and Gigafinal the same year. Since then she has played in many tournaments across the country and won lots of trophies and medals. Elizabeth loves music. She plays piano, violin, recorder and sings. She would like to thank all the people who supported and encourage her with chess. Elizabeth attends St Dunstan’s School. Anita was taught to play chess by her father when she was 7. Now, just sixteen months later, she has an impressive tournament record behind her. Her attitude is invariably positive and her enthusiasm for chess is extraordinary. Anita is the current UKI Under 8 Girls Champion, Northen Gigafinal Under 8 Ultima and SCCU Under 9 Girls Champion at the prestigious London Junior Under 10 Major Chess Championships in December 2012. She would like to thank Bury Knights Junior Chess club and Bury St Edmunds Chess Club. Special Thanks to Mr Bob Jones and Mr Jyothilal Narayanan for their great support and coaching. Anita Attends Hardwick Primary School, Bury St Edmunds. Haolin learnt chess when he was four and qualified for LJCC U8 that year. He enjoys playing in chess tournaments and has won a large collection of trophies, medals and rosettes. He plays for Surrey Wey Valley U9 and U11 teams. He is the current top rated under 8 chess player in England. In addition to chess, he also loves music, swimming, math and chemistry. He attends the Royal Academy of Music and plays violin and piano. Haolin would like to say a big thank you to everyone who has supported, encouraged and coached him, and in particular: Homefield Chess Club, CCF, Richmond Junior Chess Club, Robin Hood Infants school, Miss Wendy Bradley, Mrs. Pauline Cook, Mr. Daniel Gliddon, Mr. Scott Freeman, Mr. Peter Lalic, IM Susan Lalic, Mr. Richard James and Mr Suresh Kumar. Haolin attends Robin Hood Infant School in Sutton. Jeff learned chess from his father at the age of three. He started playing tournaments the very next year and his first success was at the Hertfordshire School U8 championship in 2011. 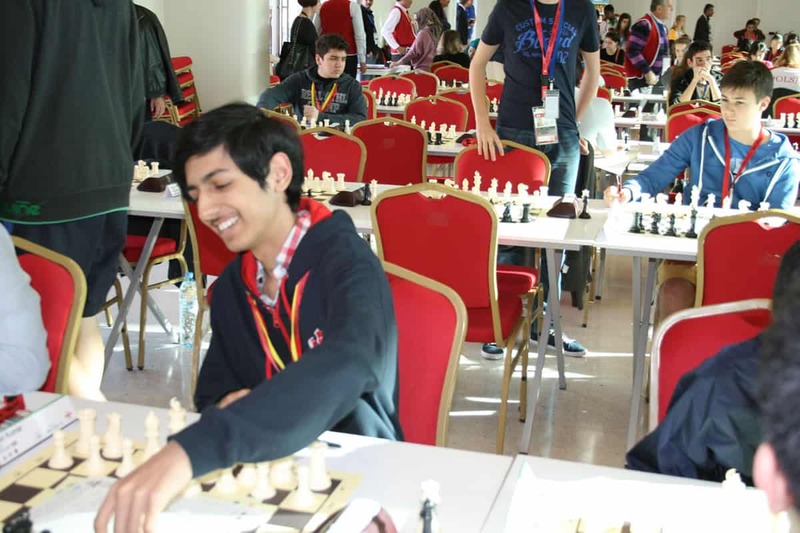 He was the youngest participant in the World School Chess Championship held in Romania 2012. He would like to thank Jyothilal Narayanan, his coach, for his structured training and Watford Chess Club for the playing oppotunities provided prior to this tournament. Jeff is a year one student at Laurance Haines School, Watford.